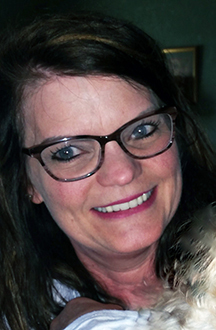 LEIPSIC — Amy Josephine Altman, age 48 of Leipsic passed away at 6:55 a.m. Monday, April 1, 2019 in her home surrounded by her family. Amy was born April 7, 1970 in Lima, Ohio to and survived by Carl and Janet (Kerner) Altman. A Funeral Service will be 10 a.m. Thursday, April 4, 2019 at St. Mary’s Catholic Church, Leipsic, Ohio with Fr. William Pifher officiating. A Celebration of Life will follow in St. Mary’s Parish Center. Memorial contributions can be made to Putnam County Hospice or to CAP (cancer assistance program).